This is a great space saver idea as well as practical, this allows you to have lots of drawers and still have the change table for now. Then when no more changing simply take remove and put away until next bub comes along. What you are left with is a beautiful set of drawers that look great in a toddlers room, I use them as my own drawers at home. The other thing you can do since removable change top is a box, meaning you can put it on any surface you want, doesn’t have to be on the chest of drawers, however make sure the new surface is still safe and the box isn’t going to move, need bubs to be safe at all times. The change top sits in a groove on the chest top, which means it doesn’t move, great idea and saves space as well if you have a smaller room/nursery. We do sell as a set with the cot and cot mattress for $639.00 plus postage or just on its own, comes in white, walnut brown and a very dark brown, change top not sold on its own. 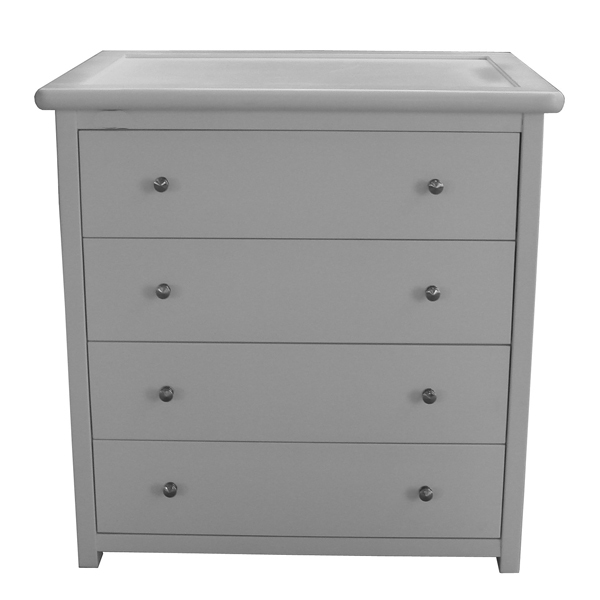 Chest price is $299.00 plus postage or fee pickup from us at 20A Allied Drive Tullamarine VIC 3041. Call us to discuss 0418550373.